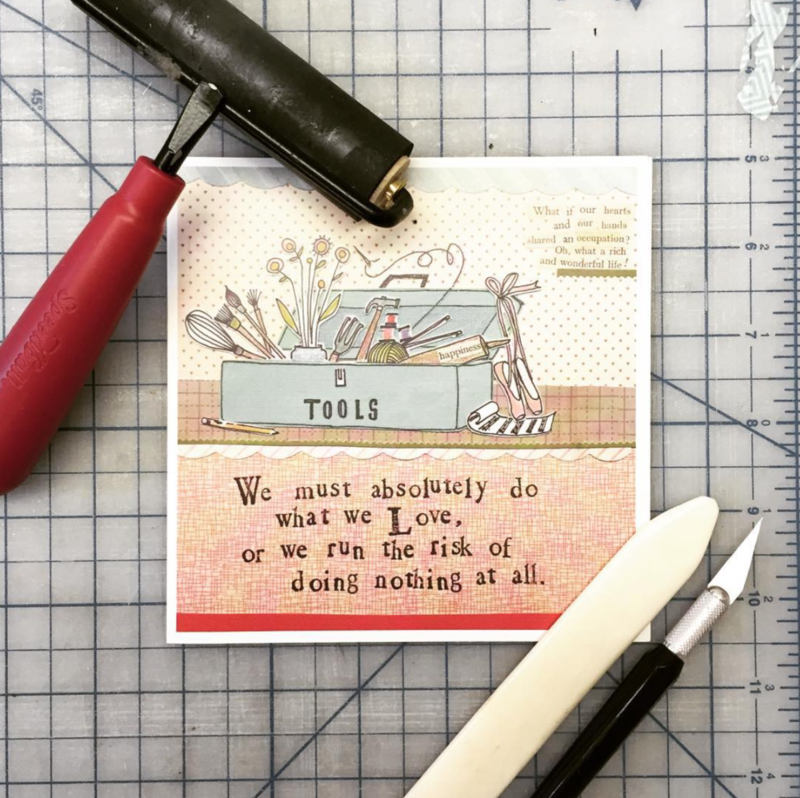 My Story — Craftbelly Pattern Co.
Hello there! My name is Lizzie Greco and I am the lady behind the 'belly. 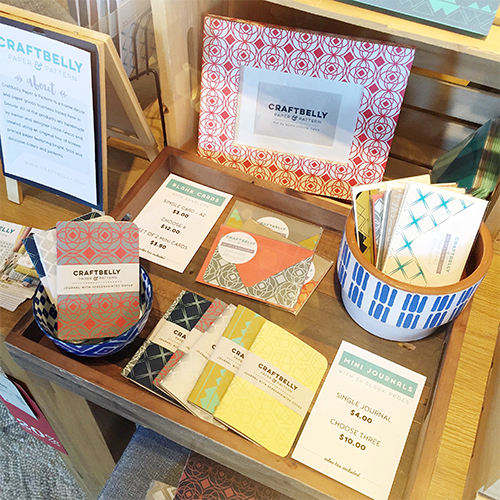 Craftbelly Paper & Pattern began in 2011 as an outlet for me to work with my hands using my favorite material, handmade decorative paper, while working in various stationery shops around Chicago. I was completely drawn to the inspiring effect that the seemingly simple craft of wrapping unfinished wood frames with bold patterned paper could have on photos and artwork. I was lucky enough to be surrounded by other artists and designers who were making a go of it selling their creations and running their own businesses. These talented folks proved to be quite the inspiration for me and helped me realize that I wanted to do the same and that it was possible. After several years of honing my skills while selling my frames online and in craft shows as a part time gig, I decided to transform the business into what I always dreamed it would become, which was a line of completely original goods featuring patterns that I had designed myself. This next step came naturally as it satisfied both the designer and the craftswoman in me. My patterns come to life printed onto paper made by French Paper Co. For this newest collection, the paper is digitally printed on demand in my studio for each order. This method helps me print only what is needed for each frame and also be able to offer a wider variety of colors. Everything from packaging to web design to shipping orders happens inside of my sunny studio located in Denver, my home for the last four years. Here in my happy place, I combine and connect my love for all things paper, pattern and color. It all started with a frame... and the desire to brighten your day. Color and pattern inspires me and makes me smile and I hope it does the same for you!